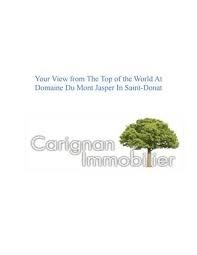 For more than 30 years, Carignan Real Estate has been creating and developing nature-oriented projects in the picturesque Laurentian Mountains. Few places allow for true escapism from city life like you will find in the Laurentians. The lifestyle options are limitless. You can choose to build your luxury real estate dream in relative seclusion, nestled in all the beauty nature has to offer, while remaining in close proximity to towns and centers with all of the amenities required to live comfortably.Reach us or give us a call at 819-326-0555.